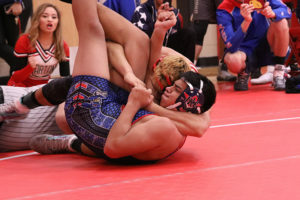 Granger Spartan Girls Wrestling competed at the Mat Classic State Tournament in Tacoma on Friday, February 15th and Saturday, February 16th. The team placed 7th with only 3 girls at the tournament. Placing: 100 lbs. 3rd Nizhoni Tallman, 115 lbs. 2nd Liliana Luna, 135 lbs. 2nd Viktorya Torres. Spartan Boys Wrestling placed 2nd at the Mat Classic State Tournament in Tacoma on Friday, February 15th and Saturday, February 16th. Abel Nava was champion at 120 lbs., Frank Almaguer was champion at 152 lbs., and Gage Cook was champion at 220 lbs. Placing: 106 lbs. 2nd Oscar Alvarez, 113 lbs. 3rd Jeremiah Salcedo, 120 lbs. 1st Abel Nava, 120 lbs. 6th LJ Castro, 138 lbs. 5th Juan Arteaga, 145 lbs. 5th Isaac Guillen, 152 lbs. 1st Frank Almaguer – 2nd Diego Isiordia, 220 lbs. 1st Gage Cook. Spartan Wrestling lost 33-31 to Zillah at home on Thursday, January 24th. Results: 106 lbs. Oscar Alvarez (G) d. Hudson Garcia 4-0, 113 lbs. Nate Mendoza (Z) d. Jeremiah Salcedo 6-1, 120 lbs. Abel Nava (G) p. Vic De Ochoa (Z) 3:12, 126 lbs. 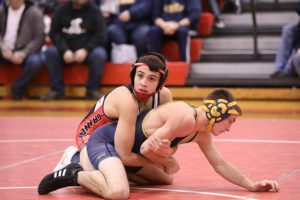 Dawson Husted (Z) won by forfeit, 132 lbs. Emmanuel Troncoso (Z) d. LJ Castro 2-1, 138 lbs. Joel Coronel (Z) p. Isaiah Salcedo 1:43, 145 lbs. JJ Arteaga (G) d. Cruz Hernandez 6-4 (OT), 152 lbs. Isaac Guillen (G) p. Edgar Rojas (Z) 3:40, 160 lbs. Franky Almaguer (G) tf. Richardo Gomez 18-3, 170 lbs. Diego Isiordia (G) md. Tristen De Ochoa (Z) 15-4, 182 lbs. Jose Campos (G) md. Andy Muniz 8-0, 195 lbs. 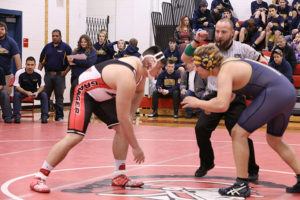 Fermin Martinez (Z) won by forfeit, 220 lbs Brendan Rubalcaba (Z) won by forfeit, 285 lbs. Cristobal Alejandre (Z) d. Jose Tapia 3-2 (3OT). 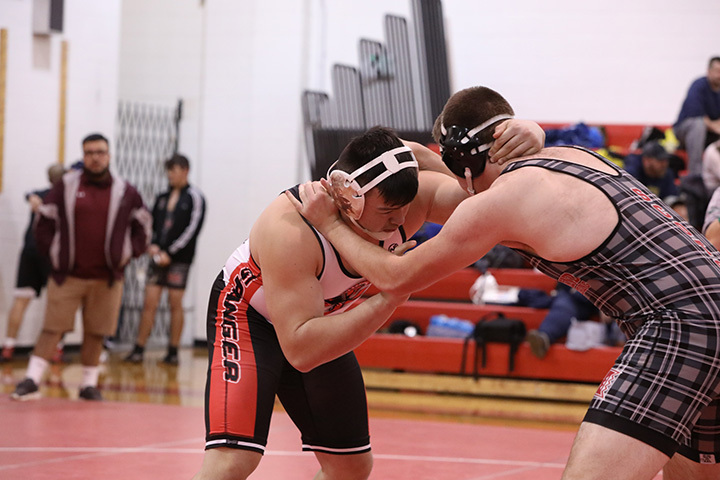 Granger Girls Wrestling competed at the Grandview Girls Invite on Saturday, January 19th. Placers: 100 lbs. 2nd Nizhoni Tallman, 115 lbs. 1st Liliana Luna, 135 lbs. 1st Viktorya Torres. 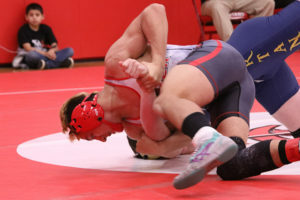 Granger Spartan Boys Wrestling placed 4th at the Rumble in the Valley Tournament at Prosser on Saturday, January 19th. Placers: 113 lbs. 3rd Jeremiah Salcedo, 120 lbs 2nd Abel Nava, 126 lbs 2nd Lionel Castro, 138 lbs. 4th Juan Arteaga, 145 lbs. 2nd Isaac Guillen, 152 lbs. 1st Diego Isiordia, 160 lbs. 1st Franky Almaguer, 170 lbs. 3rd Jose Campos. Spartan Girls Wrestling competed at the Lady Husky Invite on Saturday, January 12th. Placers: 100 lbs. 2nd Nizhoni Tllman, 115 lbs. 4th Liliana Luna, 135 lbs. 1st Viktorya Torres. Granger Spartan Girls Wrestling competed at the Kelso Girls Invite on Saturday, January 6th. Placers: 100 lbs. 5th Nizhoni Tallman, 115 lbs. 6th Liliana Luna, 135 lbs. 1st Viktorya Torres. 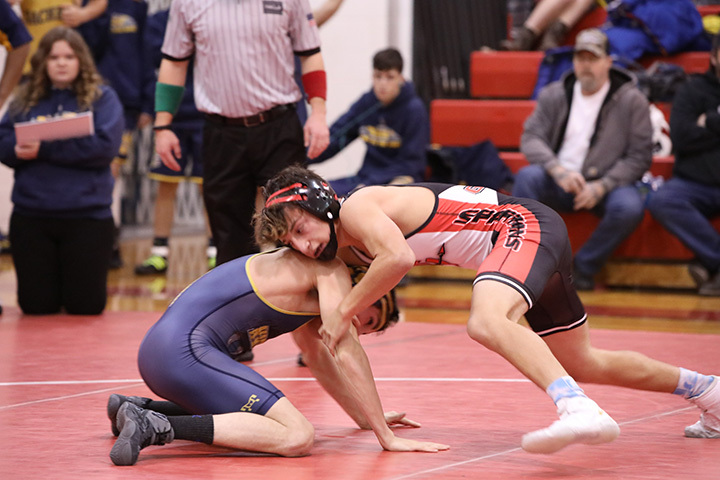 Spartan Wrestling competed at the Gut Check Invite in Kent on Saturday, January 5th. Placers: 106 lbs. 1st Oscar Alvarez, 160 lbs. 3rd Franky Almaguer. Spartan Wrestling competed at the Winter Cup in Richland on Saturday, December 29th. Placers: 106 lbs. 2nd Oscar Alvarez; 120 lbs. 1st Abel Nava; 126 lbs. 2nd Jesus Sanchez; 145 lbs. 4th Isaac Guillen; 160 lbs 1st Franky Almaguer. Spartan Girls Wrestlers competed at the Columbia Invite at Burbank on Saturday, December 22nd. Granger had 2 placers: 105 lbs. 2nd Nizhoni Tallman & 115 lbs. 2nd Liliana Luna. 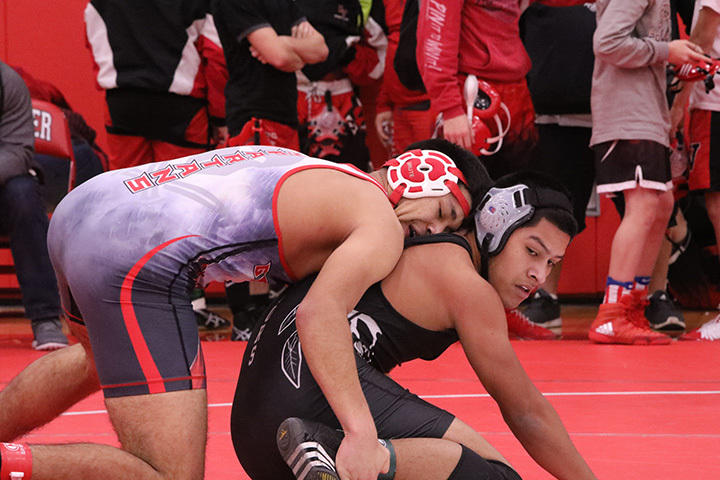 Spartan Wrestling competed at the Cadet Classic in Yakima on Saturday, December 15th. Granger scored 152.4 points, good for third place in the tournament. Two Spartans were champions: 120 lbs Abel Nava and 160 lbs Franky Almaguer. 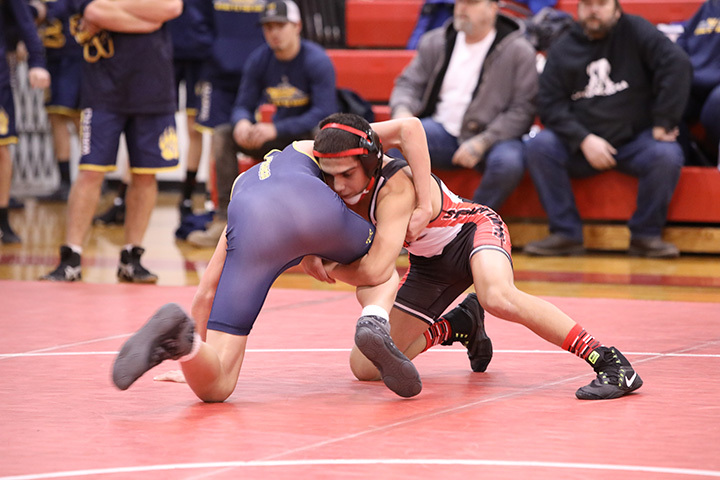 Results: 106 lbs 5th Oscar Alvarez; 120 lbs 1st Able Nava; 126 lbs 3rd LJ Castro; 132 lbs 3rd Ramiro Jimenez; 145 lbs 3rd Isaac Guillen; 152 lbs 5th Juan Arteaga; 160 lbs 1st Franky Almaguer; 220 lbs 2nd Gage Cook. Granger Wrestling won the title at the Tony Saldivar Ironman Wrestling Tournament in Granger on Saturday, December 8th. 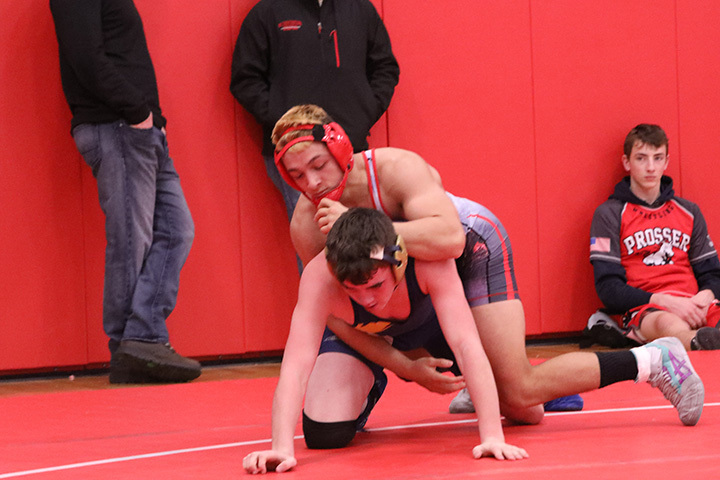 Granger had 8 champions on the day and won the tournament by 55.5 points over Zillah. Champions were 106 lbs. Oscar Alvarez, 113 lbs. 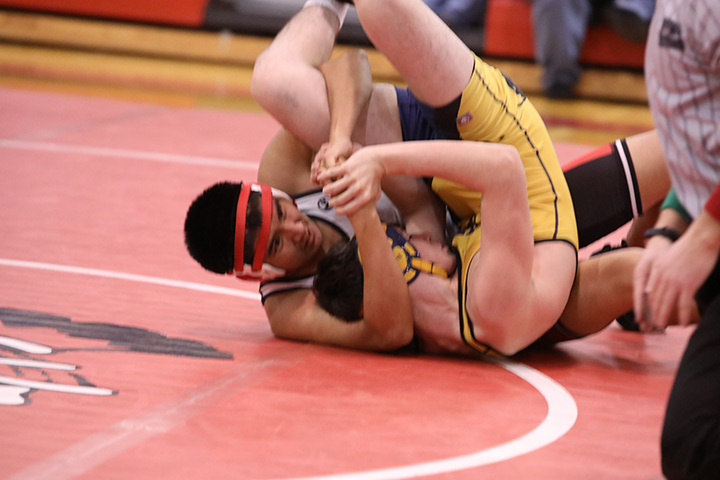 Jeremiah Salcedo, 120 lbs. Abel Nava, 126 lbs. LJ Castro, 145 lbs. Isacc Guillen, 152 lbs. 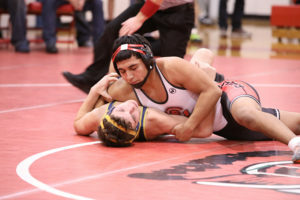 Juan Arteaga, 160 lbs. Franky Almaguer, & 220 lbs. Gage Cook. 106 lbs. 1st Oscar Alvarez; 113 lbs. 1st Jeremiah Salcedo; 120 lbs. 1st Abel Nava; 126 lbs. LJ Castro; 138 lbs. 4th Jesse Manajarez; 145 lbs. 1st Isacc Guillen; 152 lbs. 1st Juan Arteaga; 160 lbs. 1st Franky Almaguer; 170 lbs. 2nd Jose Campos; 220 lbs. 1st Gage Cook. Granger Boys Wrestling competed at the Deer Park Invite on Saturday, December 1st. Placing: 106 lbs. 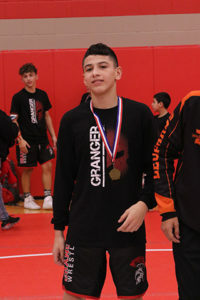 1st Oscar Alvarez; 120 lbs. 1st Abel Nava, 3rd Ramiro Jimenez; 145 lbs. Issac Guillen; 152 lbs. 3rd Juan Arteaga; 160 lbs. 1st Franky Almaguer; 192 lbs. 2nd Diego Isiordia; 220 lbs. 1st Gage Cook.